Get Personal This Valentines Day! Are you looking for cheap but cheerful gifts this Valentines Day? ... I know I am! I love personalised gifts as they always make it that little bit more intimate and special. This Valentine's Day what will you be giving your loved one? I don't like to buy into the whole commercial side of it all personally so a small gift will be just right for me. 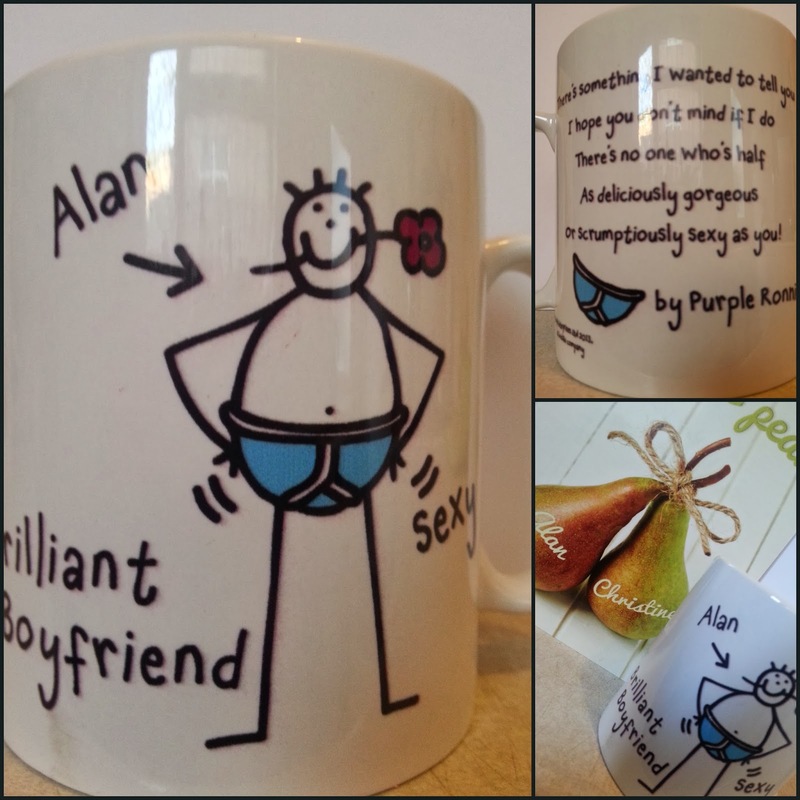 I love this cute Personalised Purple Ronnie Mug - Brilliant Boyfriend. How cute is that? I'm a big fan of poetry so this one was just perfect for me. I like the way you can add the name of your choice to give it that extra special touch, it's so easy to do too. It costs just £9.99 and looks fantastic. It's shiny and glossy and really high quality, the writing is bold and clear and very well presented. I wouldn't mind a mug like this for myself, with my name on and "Great Girlfriend" obviously. It's a simple gift idea but also a very useful one for all those tea or coffee drinking partners. I was really pleased with the quality of it for the low price and I'm sure he's going to love it! If he don't then I can always keep it all for myself. 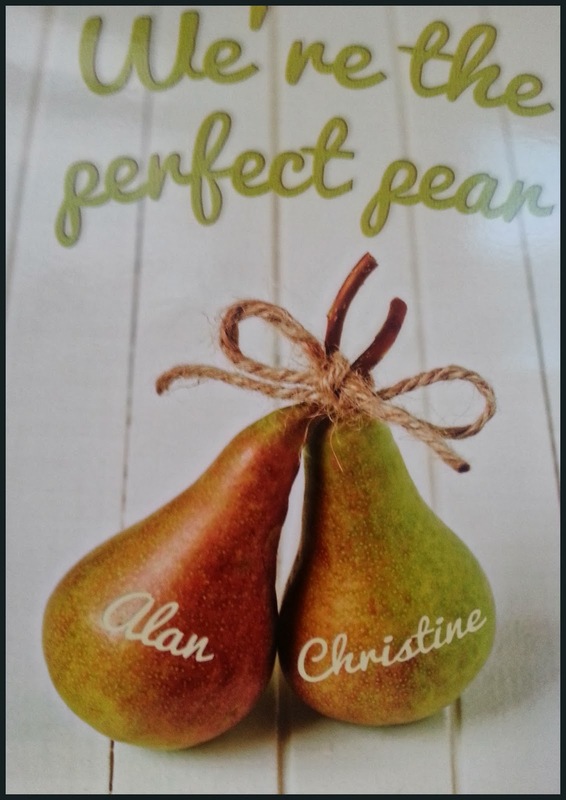 How about a fun Personalised Valentine's Card - We're The Perfect Pear. I love this card, it's cute and fun and just totally fabulous! For just 99p you can add the two names of your choice and enjoy this perfect card. This is definitely my kind of card, cheap and cheerful. What ever you decide on giving this Valentine's Day ( If you are ) then why not check out GettingPersonal.Co.Uk. They've got lots of great gift ideas for every budget and the cards are pretty cool too. I will definitely be checking them out myself next year. Disclosure: I was sent my Mug and Card for the purpose of this review but all the opinions expressed are mine and 100% honest.